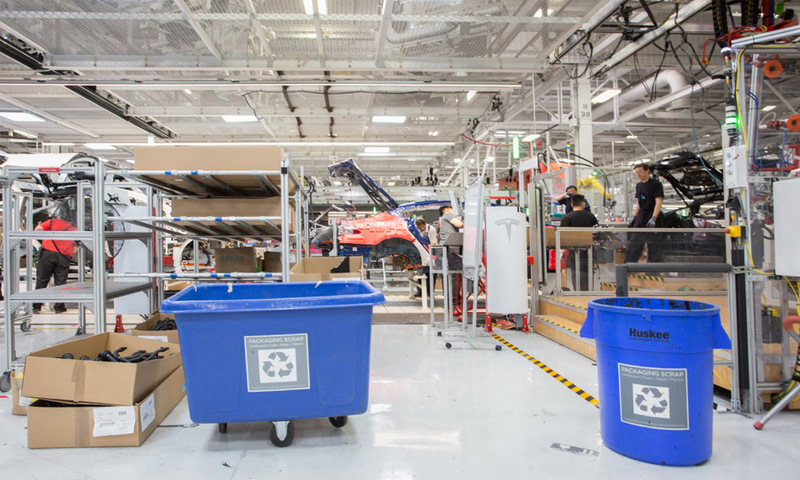 With a team of recycling technicians servicing the factory, compost bins in all office and café areas, as well as several sorting and separation areas at the plant, Tesla’s Fremont Factory consistently diverts over 99 percent of waste from ending up in the landfill, and 97 percent diversion from landfill and waste-to-energy combined. Most of the material is sorted, commoditized, and sold to third party recyclers. This is true for all cardboard, plastics, foams, pallets, wood chips, and various types of metal. 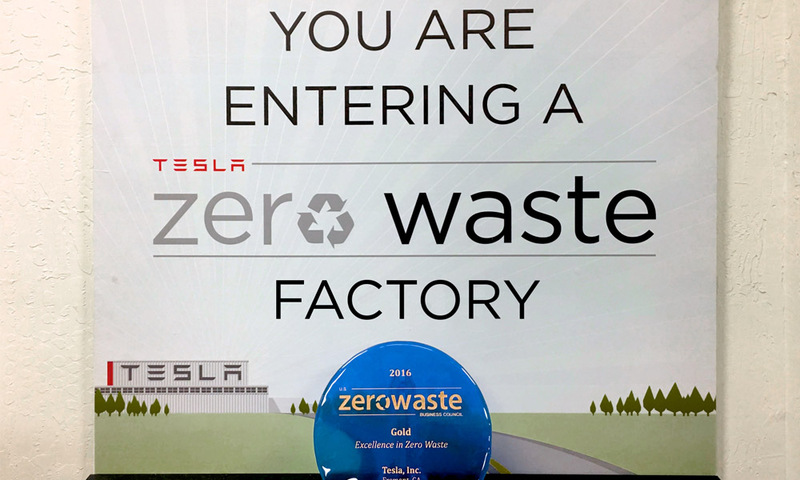 While the diversion numbers are something to be proud of, the zero waste efforts have also contributed significantly to Tesla's bottom line. 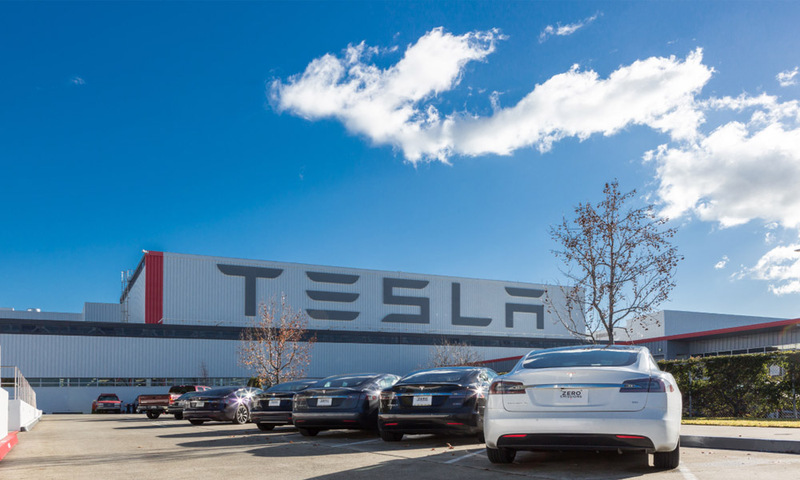 In 2016, the reduction in waste hauling fees, the revenue generated from recycling, as well as the costs avoided through product re-use programs, totaled over $30 million.